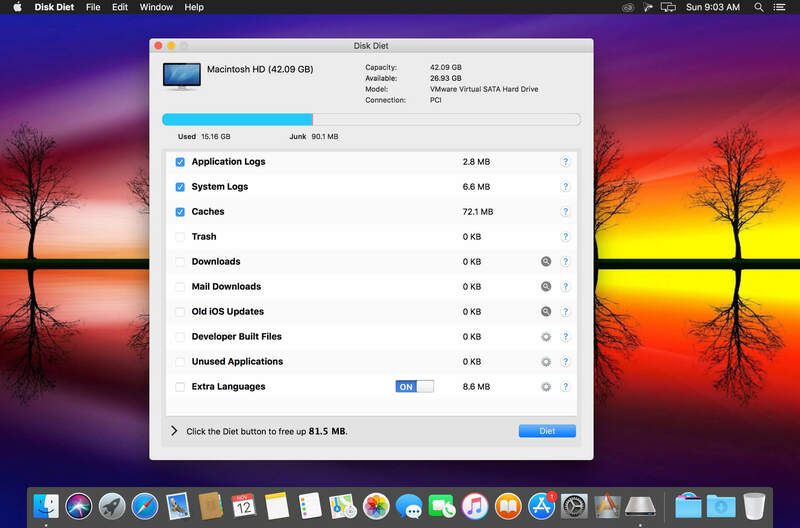 Trust Disk Diet to safely and easily clean your Mac. 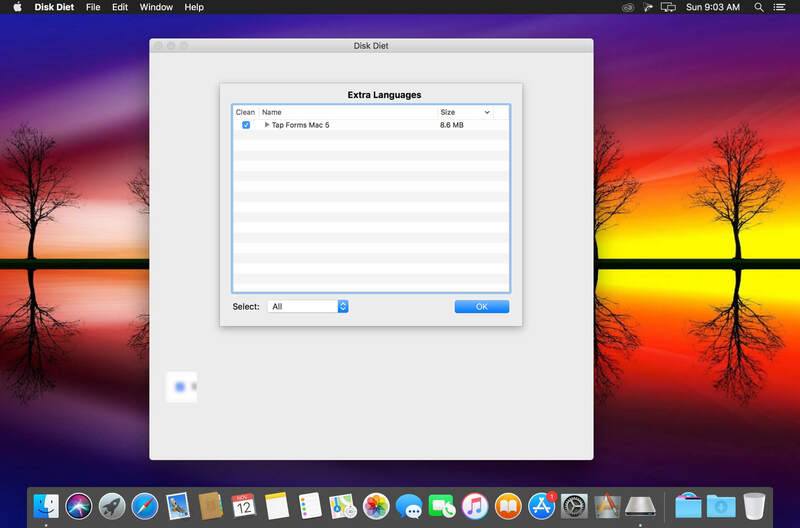 Ever had your Mac almost (or completely) run out of disk space? If so, you've probably also tried to find out what's taking up so much space and how to get rid of junk. 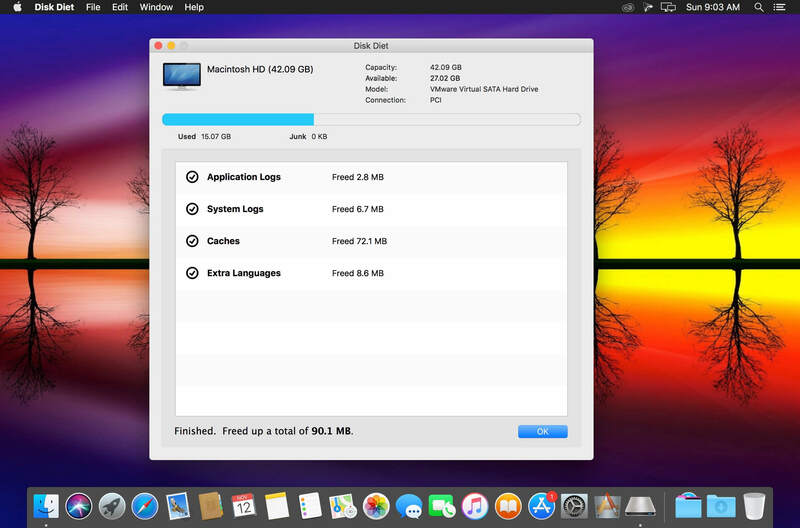 Sometimes this is easy, although most of the time a lot of the files that are hogging your Mac of much needed space can be tricky to find and remove safely.